The best part? You can read the story right now, for free online, since Rowling published the piece on her entertainment website Pottermore. 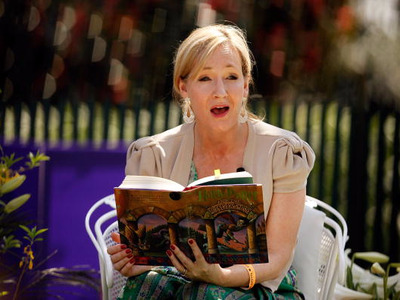 The new tale is the second entry in Rowling’s “Magic in North America” short story collection. “Ilvermorny School of Witchcraft and Wizardry” takes places at the North American version of Hogwarts and follows Isolt Sayre, who seems a lot like the witch-version of good old Harry: she’s parentless and lives with her evil aunt, who refuses to let her attend Hogwarts. The young witch hops across the pond to attend Ilvermorny, which has a sorting ceremony and strangely-named houses of its own. An introductory trailer accompanies the short digital tale. Check out the trailer below and read “Ilvermorny School of Witchcraft and Wizardry” over at Pottermore.